Ideal for payments on the Internet. Full analogue of a normal plastic card, but only in electronic form. • Online help 24/7 - if you have any questions, please contact us at any time. Checking the balance of the card and detailed operations on it is carried out round the clock. • Security - it means that when you pay online with a virtual card, you do not need to enter any personal data. • Anonymity - opening an account with the Bank and no personal signatures are required. Virtual maps are completely anonymous and do not contain any data about the payer. • Convertibility - no matter what currency you need to pay for the goods (EUR, RUR, etc.). The payment amount will be automatically converted at the current exchange rate. 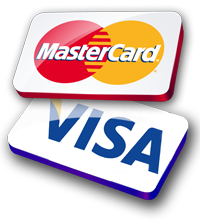 • Versatility - unlike electronic money, the virtual Mastercard Virtual card is accepted on the Web all over the world. MasterCard Virtual CARD, RUS Bank is issued by the Russian Bank - Excellent work and excellent passability of cards are noted on a huge number of sites, both Russian and foreign, working with users from Russia. MOMENTAL PURCHASE. You do not need to contact the bank to receive the card. You can buy it right now, paying for any electronic money. Card details - unique 16-digit number, CVV code and expiration date - you receive automatically, immediately after payment. Virtual VISA / MASTERCARD virtual cards, STEAM games, Kaspersky, Microsoft Office, Xbox, Playstation, Battle.net, World of Tanks and hundreds of other products. All goods are issued instantly after payment! <Attention> Please! Leave a review after purchase. On all questions, please contact us. We will be happy to answer your questions.